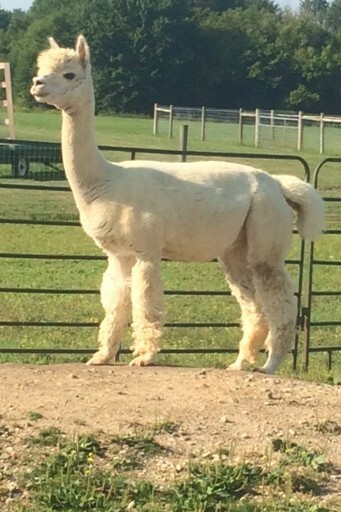 Openherd: M-R Alpacas Ranch Inc is a farm located in Wakeman, Ohio owned by Joy Mitchell, Julie Haney, Mary DeVinitz . Our Cassie the kisser of the group! 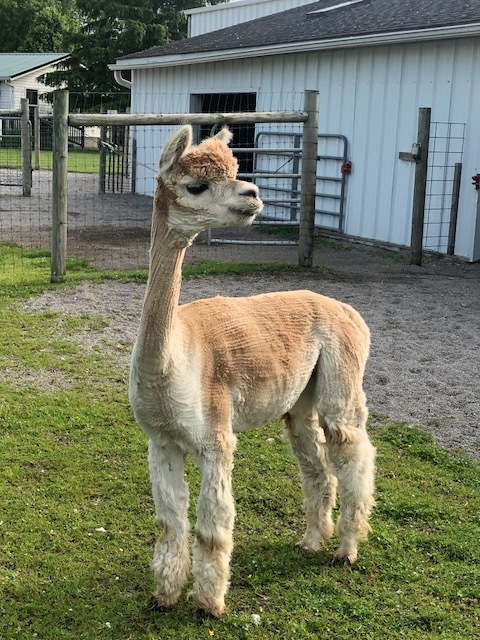 M-R Alpacas Ranch Inc. began in 2004 and now as we enter the next phase of our lives, we will continue to own our 40 acre farm, work with the fiber and maintain the retail store on site. We still own 7 females, our herdsires and Juvi boys have been sold. Thank you to the farms that welcomed our breeding program into yours! We are honored! Although we have made the decision to no longer breed, we do love the fiber. We enjoy the retail side of the business and sharing the alpaca story at our on site retail store, craft fairs and through farm visits. 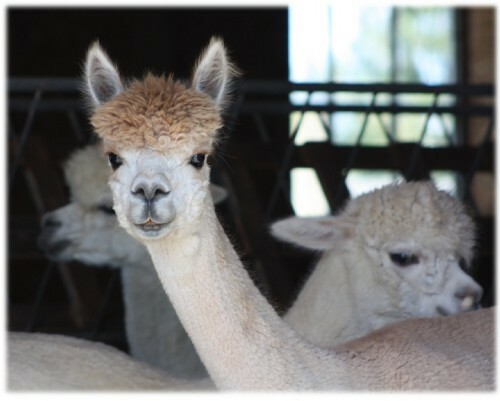 Our older girls, Adoncia (17) and Wellington(16) will remain with us until they leave and go to alpaca heaven. If would like to chat about the rest of our girls please call! Contact Joy at 440-759-9544 for additional information! Full Reproductive Farm Warranties on Females unless stated otherwise and/or sold as a fiber animal. Financing is Flexible give us a call we will work with you and stay within your budget requirements! Thank you to Lindsay and Daniel our four girls, Jada, Paige, Amber and Sadie are on their way to Vermont!!! So very happy they are staying together! 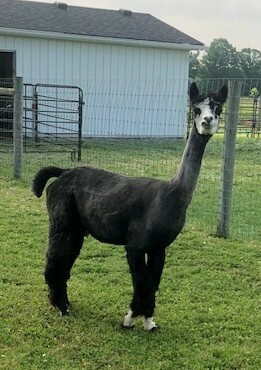 The five herdsires, Aristotle, Duke, Anka, Zepplin and Starsky made their home with us for the past 8-12 years, we are happy to share they will now have their forever home with Larry and Brenda.